The bacon is salted for 7 days with salt, pepper and garlic. After 2 months of seasoning it is ready to be consumed. It has an intense savory taste filled with aroma. It is great thinly sliced for bruschetta and also used frequently as a staple ingredient for amatriciana and carbonara pasta. It is sold in sizes of 1,500 kg or vacuum packs of 400 gr. 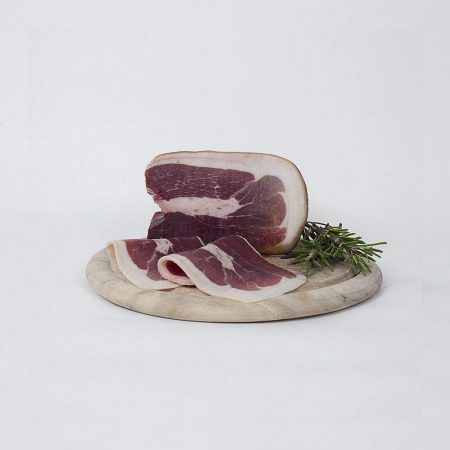 Our Cinta Senese ham is produced according to the Tuscan tradition. Cinta Senese Ham takes it’s name from the word Cinta (or belt); the pink stripe that runs along the pig’s chest. The pigs are bred semi-wild which gives the meat an exceptionally unique flavor, and is low in fat. 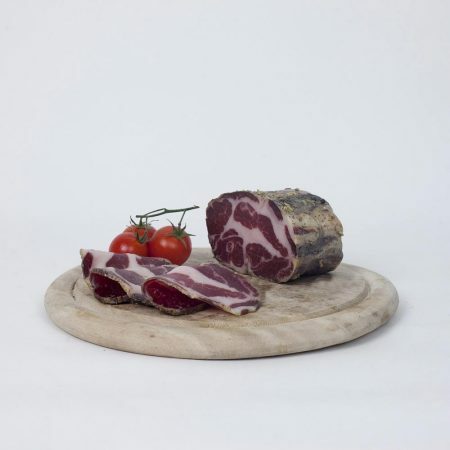 Produced by only using the prime cuts of pork, Cinta Senese DOP, such as the shoulder and ham trimming. 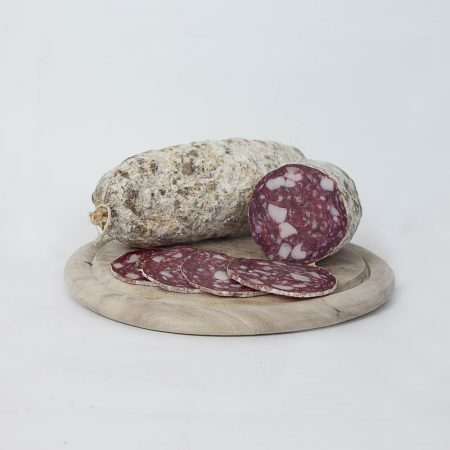 Salami di Cinta Senese particularity resides in the addition of lard to give greater softness. This is the part of the loin rich with veins. It is flavored with salt, pepper and garlic for 3 months until it is ready to be consumed. The meat features lean meat alternating stripes of soft and delicate fat. The taste is delicate and intense and is great as a seasoned carpaccio. It is sold in sizes from 1.500 to 2,000 kg or in vacuum packs of 400 grams. The cheek is salted for 7 days and flavored with pepper, garlic and salt. After 2 months of seasoning it is ready to be consumed. It has a mild taste yet is flavorful with aromas. 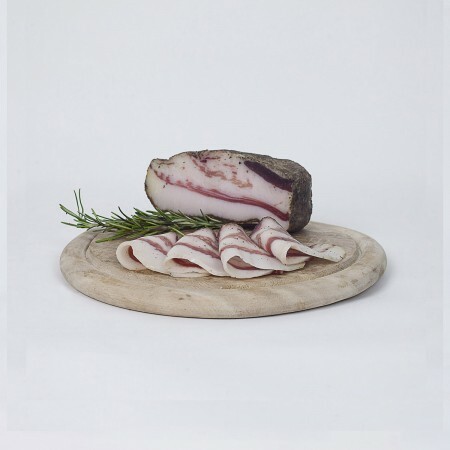 It is excellent thinly sliced and eaten raw however it is most importantly a staple in our kitchen when preparing typical Tuscan dishes such as amatriciana and carbonara pasta. It is sold in sizes of 1,500 kg or in vacuum packs of 400 grams. 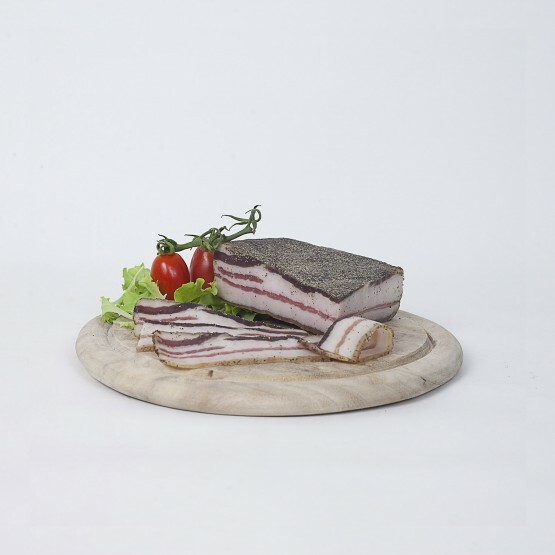 The Sbriciolona Cinta Senese is produced with the bacon meat. 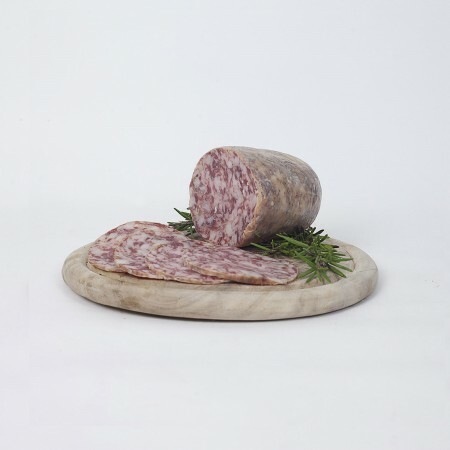 The cheek and capocollo of the Cinta Senese DOP is finely minced and flavored with salt, garlic, pepper and wild fennel seeds. 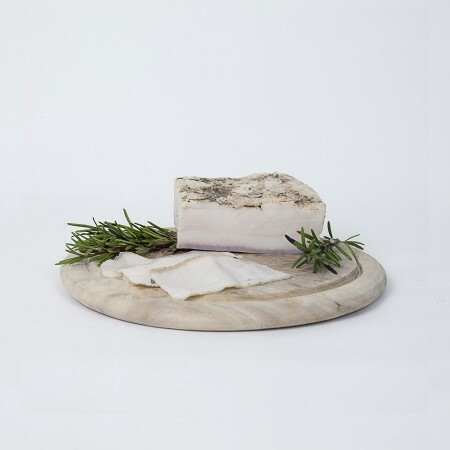 After aging about 2 months it is naturally ready for consumption and sold in sizes from 0,800-1,500 kg. 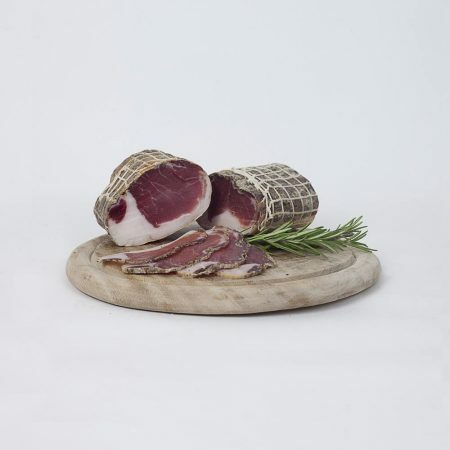 Our cinta senese fillet is produced from the loin of the pig. It is then seasoned with salt, pepper and garlic. After 3 months of aging it is naturally ready to be consumed. The flavor is elegant and delicate. The Cinta Senesa lard is obtained from the fat part of the pigs back. The secret to obtaining this soft and pleasant product is to carefully choose the best quality meat. The chosen meats are then carefully massaged with coarse salts and natural spices. The lard is then left to rest for at least 6 months during which the spices released penetrate their aroma into the meat. The result is a product with a fine taste and flavor that can be enjoyed alone or on warm tuscan bread. It is also used to prepare many typical Tuscan dishes.